So what do you get when you pack in an Android streaming device into a an extremely small package? Enter – the Mi Box mini from Xiaomi, a truly mini Android streaming device that looks exactly like your typical phone charger that can fit in any pocket. For a closer look at the product, head on after the jump. 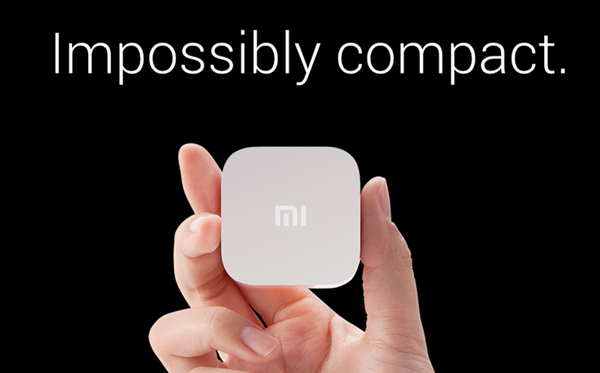 The Mi Box mini is roughly one fourth the size of Xiaomi’s older Mi Box, but packs in 282 integrated components to make this device matter. Shaped as a charger, the unit even had foldable pins for powering it via any 110/220v power socket, where it can be easily mistaken for your usual USB phone brick. Just recently, Xiaomi had announced a host of new devices, including the Mi Note, the Mi Note Pro, and a pair of on-ear headphones as well, but the Mi Box mini is bound to catch the consumer’s attention given the low $30 price tag. At $30 all those performance and component questions will begin crowding up so let’s have a look at that. At the heart of this pocketable device, Xiaomi has packed in a quad-core 1.3GHz processor, and a 4+2 core Mali-450 GPU to deliver fluid performance. There’s a decent 1GB RAM with 4GB of onboard eMMC storage, along with Bluetooth 4.0, dual-band Wi-Fi, and support for Dolby and DTS audio standards. 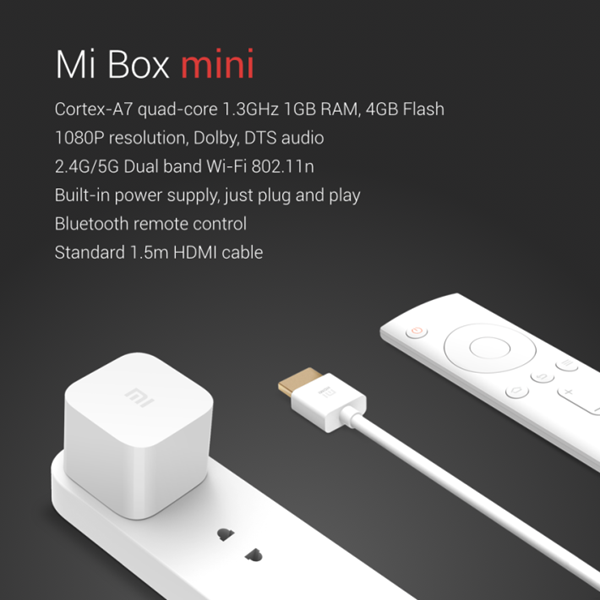 Mi Box mini is running Android 4.4.2 and can be connected to any HDTV via the HDMI port. The device will support 1080p 3D video output, but no more. The larger sibling however supports 4K videos as well, and packs a USB port along with support for an additional microSD card. 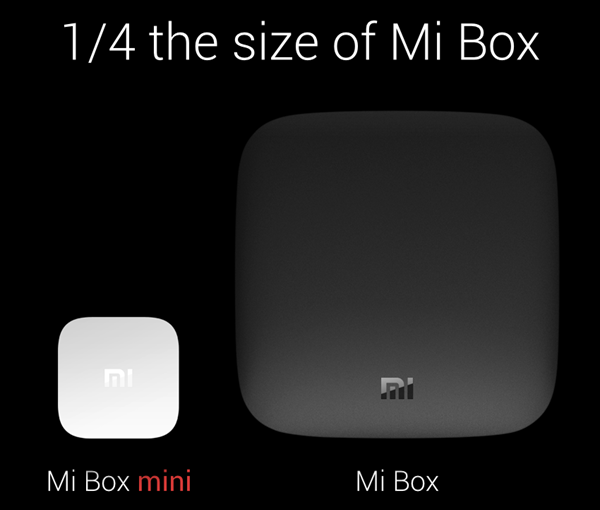 Well given the size, these features or in the case of Mi Box mini – the lack of them – is no surprise. The device comes with its own hardware remote as well which is connected over Bluetooth to help you navigate through the menus. Coming in a variety of flashy colors such as orange, pink, sky blue, yellow, neon green, and red, Xiaomi has only brushed the underside with some paint, leaving the device an all-white. Sad. According to Xiaomi, the Mi Box mini is set go on sale on the 20th of January in China, with no word on availability outside of the country as yet. come on bro, it’s a tv box, like the apple tv, amazon firetv etc.